Welcome to this month’s edition of Banned Books. 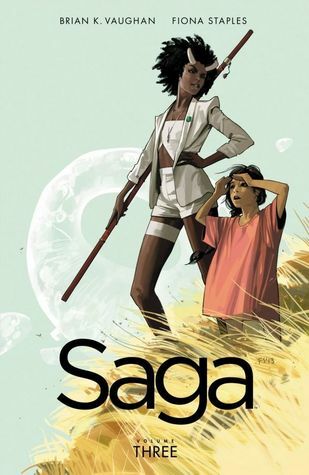 This month we read Saga, Volume 3 by Brian Vaughan and Fiona Staples. Oh my goodness. 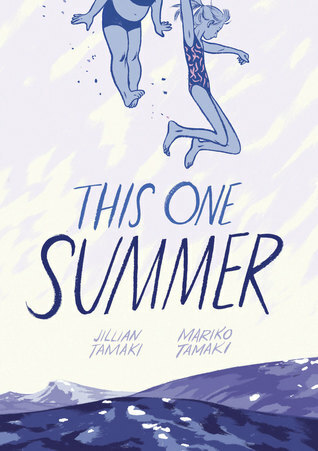 I didn’t know what to expect from this book, but I didn’t expect to love it as much as I did. I was absolutely captured by this stunning book. It’s such a beautiful reading experience. Brian Selznick has created such amazing illustrations and a captivating story line. I’m sure any child would get something from this book. It’s one I’m going to be recommending to my school ASAP. The Invention Of Hugo Cabret is about a little boy who looks after clocks in a station. He is left alone and carries on working on the clocks and also something that was a mystery to him… It’s also about a man who had a dream and his dream disappeared before him. I absolutely loved how much emotion was captured in this story. Even though it is essentially a story for children, it can be enjoyed by so many more people. It captures France at the time beautifully. I loved that each character had something different to give. They weren’t your conventional story characters. I appreciate diversity in literature, particularly children’s literature. It’s so important to represent a range of people. This is one of the most unique books that I’ve read and that’s down to Brian Selznick’s approach to storytelling. 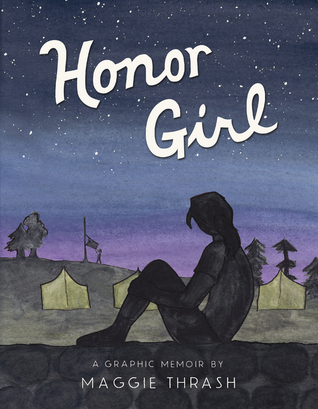 The story is half told through beautiful illustrations. I spent so much time pouring over the illustrations and looking at what they were telling me. The story itself is very simple but it’s engaging. 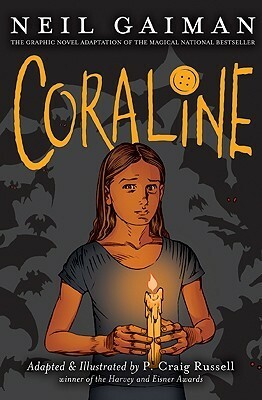 I loved the balance between illustrations and written word. The illustrations really helped me imagine where the story was set. It was like a movie. I do think there’s something for everyone in this book. It’ll work for you if you’re into graphic novels, films, and a touch of magic. A unique reading experience. I highly recommend this book! Welcome to the 36th Banned Books post which means we’ve been reading Banned Books for 3 years now! Awoohoo! Go us! 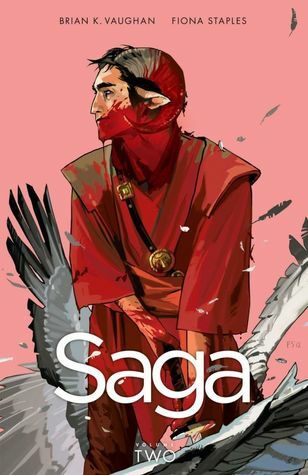 Celebrations aside, this month we took on Saga: Volume 2 by Brian Vaughan and Fiona Staples. Welcome to April’s edition of Banned Books, where Beth and I read a banned book, once a month! 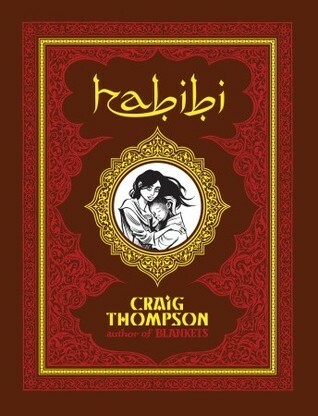 This month was Habibi by Craig Thompson.